Listening Center is the musical persona of NYC musician David Mason. 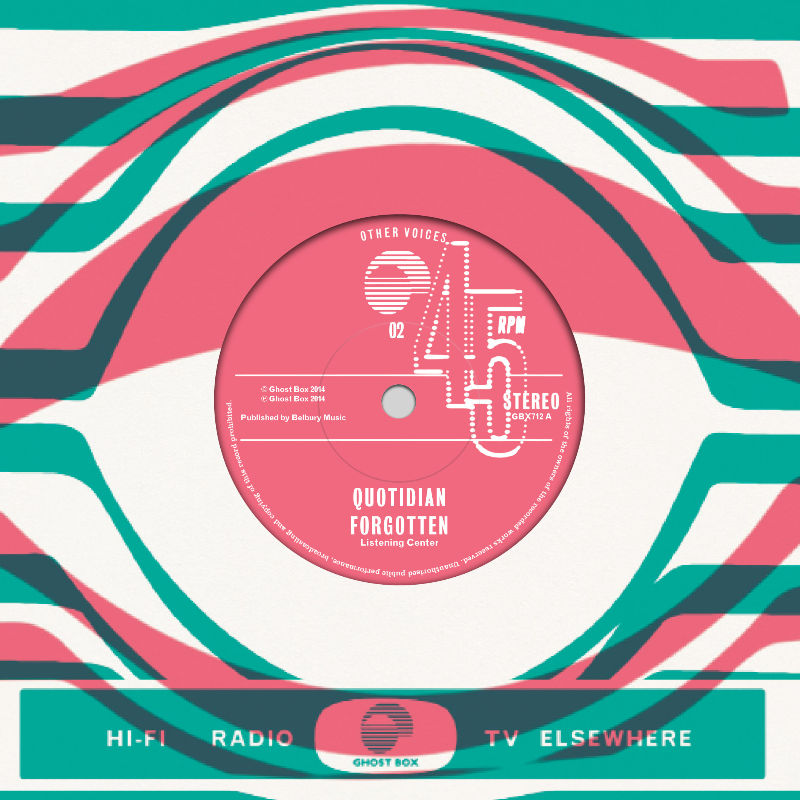 For his contribution to the new Ghost Box series of 7" delights he has brought a short set of synthesizer ditties that invoke a sprightly library vibe alongside Vangelis-esque beats and a Kosmicshe-pop sensibility. It's a wonderful pop record that feels like it should have been released a couple of decades ago but I'm glad it wasn't because back then I was all about the fast and the heavy and so would have never gotten to hear it.